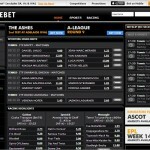 CentreBet is one of the most well respected and popular Australian bookmaker available. They ensure a positive CentreBet review with their vast array of betting opportunities in racing and sports. With true 24/7 customer service including multi language support, members will be certain of satisfaction. You can take your betting on the road with access to your account via online website as well as via mobile betting plus banking is fast, secure and easy. A CentreBet Review of their available features is sure to be a positive one. Centrebet has over 21 years of bookmaking experience and in this review, we take you through all the history, sports and aspects of this Australian sportsbook. CentreBet was the first bookmaker to offer online sports betting in Australia since its establishment in 1992 and its arrival on the online scene in 1996. Since its inception it has grown to be one of the most well respected and largest venues for online race betting and online sports betting in Australia. Centrebet was the first licensed bookmaker in the Southern Hemisphere to offer online betting and operated under the jurisdiction of the Northern Territory Government. In 2003, Centrebet was acquired by SportOdds Group and the company merged Centrebet, SportsOdds.com and SuperOdds.com.uk to create one entity, Centrebet. It was then later taken over by the Sporting Group in 2011 making it the largest operator in Australia. 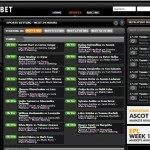 Since then, Sportingbet.com and Centrebet.com have many common characteristics in their interface with identical templates with the same odds. In 2013, the Sporting Group sold its Australian operations to UK bookmaking giant William Hill. Centrebet is currently one of the major sponsors of the popular Aussie rules side St. Kilda Football Club. The betting slip is intuitive. Once your bets are selected they are added to your slip much like an online shopping cart. Placing multibets is easy. You can tab between single bets and multi bet options within the betting slip. 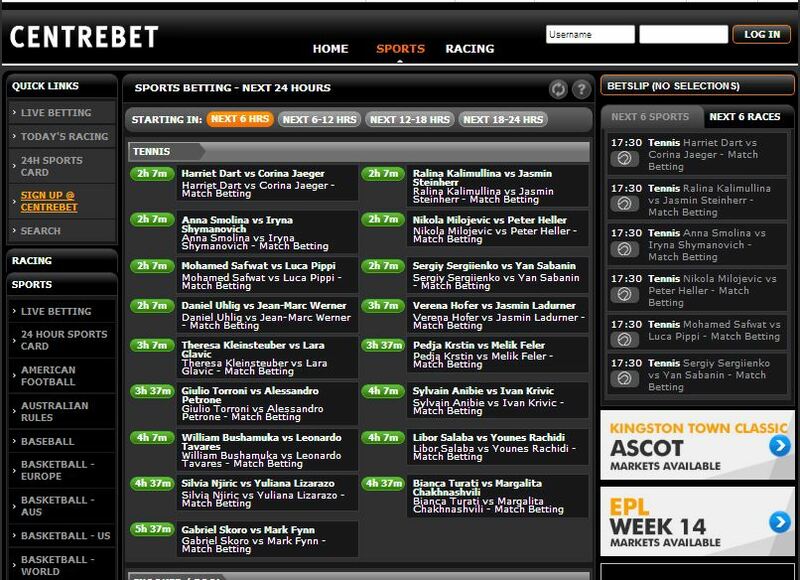 The multibet tabs display every multi bet available, including Yankee, Lucky 15, etc. As you input wagers the potential payouts are displayed automatically. An aspect that is different and better than its sister bookie Sportingbet is that Centrebet’s website is more dynamic than Sportingbet. Users hardly have to refresh their page in order to view sub-markets. CentreBet offers an astounding number of racing and sporting events to bet on daily. Sometimes up to four thousand markets per day are available. While the focus is on sports and racing, for those who are so inclined, they can also indulge in other online poker and casino games offered by CentreBet Casino. 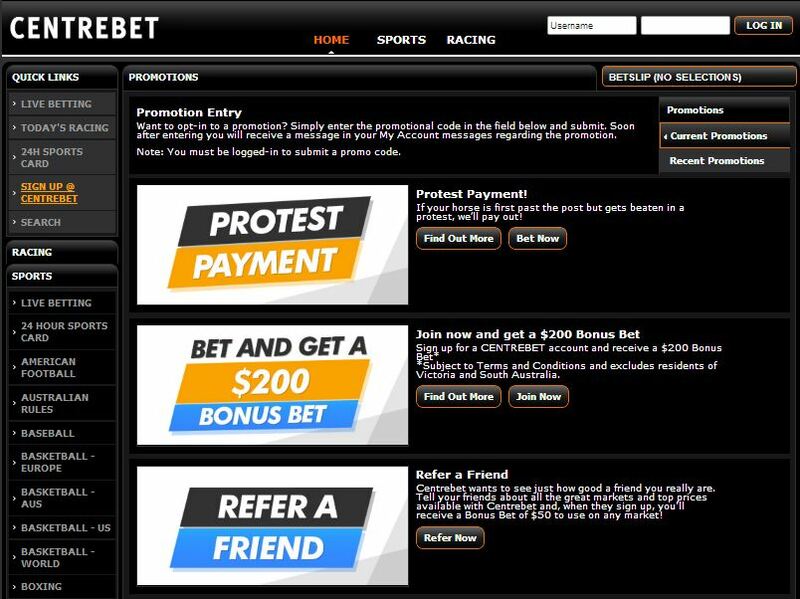 Centrebet has a fantastic racing product for online betting and all horse racing punters should have an account with this extremely popular online bookmaker. Centrebet offers both a great range of sports markets and a good depth of betting options for each fixture. Fans of NRL, AFL and Super Rugby won’t be disappointed; neither will be followers of the likes of handball. As is always the case with bookmakers, football (soccer) is well covered, as are boxing, golf and cycling. Centrebet also provides plenty of betting markets for popular American sports such as the NHL, NBA, MLB and NFL and NCAA competitions. Centrebet has some wonderful racing bet types and ‘CentreBest’ claims to pay a guaranteed best price on your fixed odds bets, plus you can enjoy Match Betting on selected races, Jockey Challenges, Free weekly Turf Wars tipping competition and much more. Along with CentreBest, Centrebet also has CentreOdds, CentreTop, & CentreMID bet types, plus Fixed Price, Best Fluc, Starting Price, Futures, Pre-post, Feature Doubles, Group Betting, Multiples, All-Up, Flexi Betting, Jockey Challenge and more. Popular Exotic bets available at Centrebet include quinella, trifecta, First 4, Doubles, Trebles, Quaddies, Win6, Parlays and much more. A downside to Centrebet is that it fails to offer Asian Handicap betting. In addition to online betting via the website and phone betting, you can take your betting with you anywhere with the availability of mobile betting. All betting functions are supported from your internet capable mobile phone at m.centrebet.com. Centrebet is also available in the Apples App Store and downloadable for free. Unfortunately, its mobile application is not available in Android. Centrebet regularly hosts competitions making sure punters never have a dull moment. Currently they offer Competitions in Centrebet NRL Fantasy League, NRL Pro Fantasy League, AFL Fantasy League and AFL Pro Fantasy League. All these competitions reward fantastic prizes for Australian and Kiwi Punters to enjoy. The minimum wager via the Internet is $1.00 for all wagers, with the exception of Centrebet Exotics which are $0.25. The $1.00 wager for standard wagers over the internet is higher than other leading competitors and something which beginners might easily find difficult to adjust with. 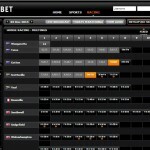 The odds format presented in Centrebet are the standard EU odds or decimal odds. Registering and banking with Centrebet has been made very easy with credit to the website’s usability and considering how transparent they are. Once within the banking section of the website, clients canlearn how to deposit, how much to deposit and learn about the easiest way to withdraw their funds. 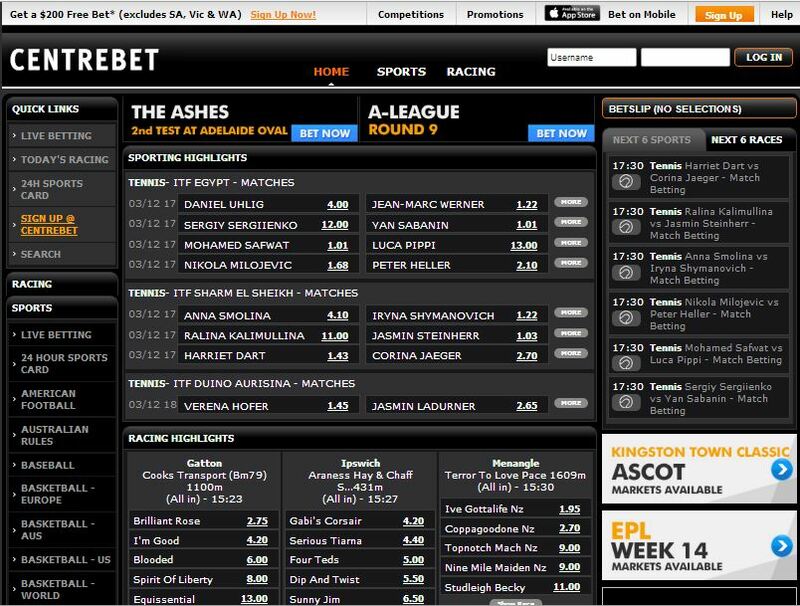 Unlike many bookies, Centrebet do not charge do deposits or withdrawals. All deposits are instant except for Bank Transfer and BPay which may take between 1 – 5 days. All payouts take 1 – 5 business days. Punters at Centrebet can only deposit and transact in Australian dollars. All winnings are automatically credited to the client’s account. New members may receive promotionsand incentives simply for signing up. Once you are a member you will receive frequent offers and promotions to help get you started and keep you as a loyal customer. Protest Payment – If your horse is first past the post but beaten in a protest, Centrebet will still pay out. Refer a friend – Successfully refer a friend and receive a bonus bet of $50. Terms and conditions are attached to each of the above promotions and bonus bets. Centrebet required a bonus credit turnover of 1x before it can be successfully withdrawn. 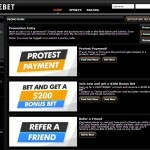 Centrebet offer a number of quality promotions that continually change on a regular basis throughout the racing season. Centrebet promotions are many and varied and they are all designed to provide plenty of value for its members. Centrebet offer a host of different betting products to get the best odds and value on your betting. These include SuperBest+, SuperMid+, SuperBEST, SuperMid, SuperVix+, SuperQLD+, Super NSW+, SPG (Starting Price Guaranteed), BESTFLUC, Pick Your Own Streak, INSIDE vs OUTSIDE, ODDS vs EVENS and Jockey Challenge. A CentreBet review would be remiss without mentioning the true 24/7 customer support. Live chat, phone and email support is available every day, all day. For those who prefer to seek out answers on their own, CenterBet also offers a comprehensive FAQ that is easy touse. 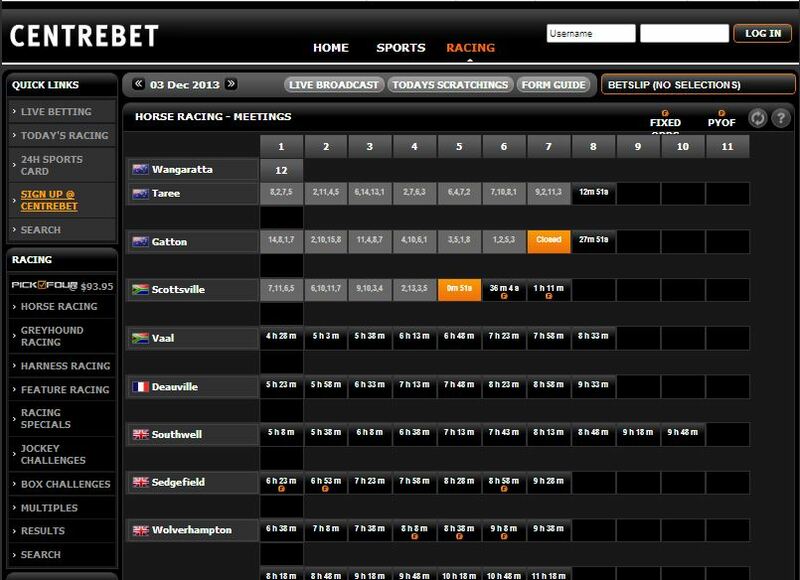 Centrebet offers excellent betting range with deep market coverage, especially when it comes to Racing products. They offer a wide selection of secure payment methods along with offering best odds and adding value to your betting. Although a minimum bet of $1.00 can put off a lot of rookie punters, anyone who knows betting is sure to make the best out of it. Licensed under a liable jurisdiction, since its formation in 1992, Centrebet has grown into a leading international betting and gaming company in the Aussie market by not just providing all the benefits a punter is looking for but also offering a safe and secure betting environment.